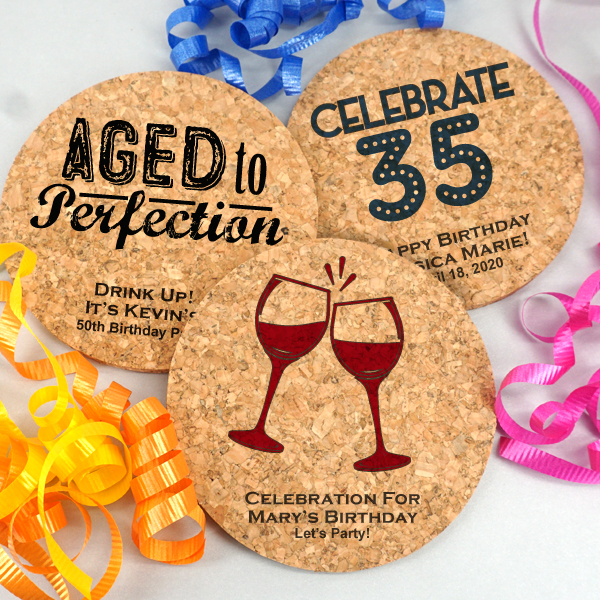 Give adult birthday favors that your guest will keep, like these fun custom cork coasters. 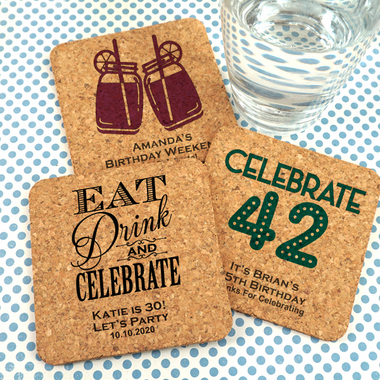 They are perfect for the nature and ecology enthusiast, as they are made of 100% renewable, all-natural cork. Each measures 4" and is great at absorbing moisture and protecting surfaces at the party and in your guests' homes. 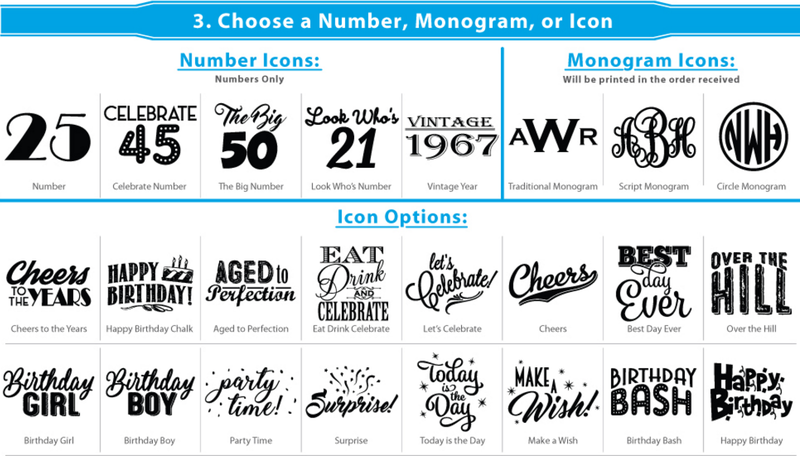 Choose from a number of birthday designs and ink colors. Add three lines of your own text.